Arthur Salm spent twenty years as the book critic at the Union-Tribune, interviewing authors and writing about the works they created. To hear him tell it, he would have been perfectly happy spending the rest of his life there, living the dream as the luckiest guy in the world. But then he got the bug to write a book and ended up with Anyway*, recently out in paperback. It’s the story of a twelve-year-old boy named Max and his coming of age during one summer, when he tries on a bad-boy attitude but doesn’t entirely like where it gets him. A funny thing happens when a retired journalist brings his 20-plus years of word craft to fiction writing — namely, the birth of a 12-year-old boy named Max, whose angles are shaped by David Foster Wallace, Norman Mailer and the author himself, Arthur Salm. Max is the protagonist in "Anyway: A Story About Me With 138 Footnotes, 27 Exaggerations and 1 Plate of Spaghetti," Salm's new tween novel. He's a self-described good kid — mostly. "Except for that time I decided I didn't want to be a good kid anymore." Arthur Salm has written a story about a 12-year-old boy named Max who goes off to camp. That’s probably something a lot of KidsPost readers will do this summer. And we’re thinking that lots of you are good kids, just like Max.Read here the whole article. EVANSVILLE — Arthur Salm insists he never wanted to write a children's book. To his shock, that's what he found himself doing, almost involuntarily, when the Evansville native set out to write his first fiction. He'll be back in his hometown Tuesday for a 7 p.m. book signing at Barnes & Noble Booksellers, 624 S. Green River Road. Salm will read and sign copies of "Anyway," the story of Max, a good boy who decides to remake himself as "Mad Max," a cool, bad-boy character he invents when he goes to summer camp. The transformation is easier to handle among strangers at camp than with his friends and classmates when he returns home, however. 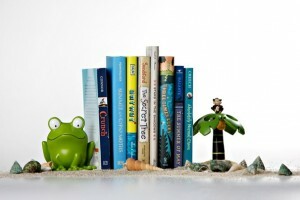 Deb Lindsey/For The Washington Post – The eight books on the KidsPost Summer Book Club reading list all invovle the “Joy of Summer Reading,” this year’s theme. By Arthur Salm. Ages 8 to 12. The asterisk in the title points to an explanation that says, “A story about me, with 138 footnotes, 27 exaggerations and 1 plate of spaghetti.” What this story is really about is a boy who takes advantage of going away to camp to assume another identity — Mad Max, a wild and reckless guy. Everything about this book screams summer fun.